Add that extra glam look to your outfit with this beautiful plus size shrug. Plus size shrug features short sleeves with open front design. 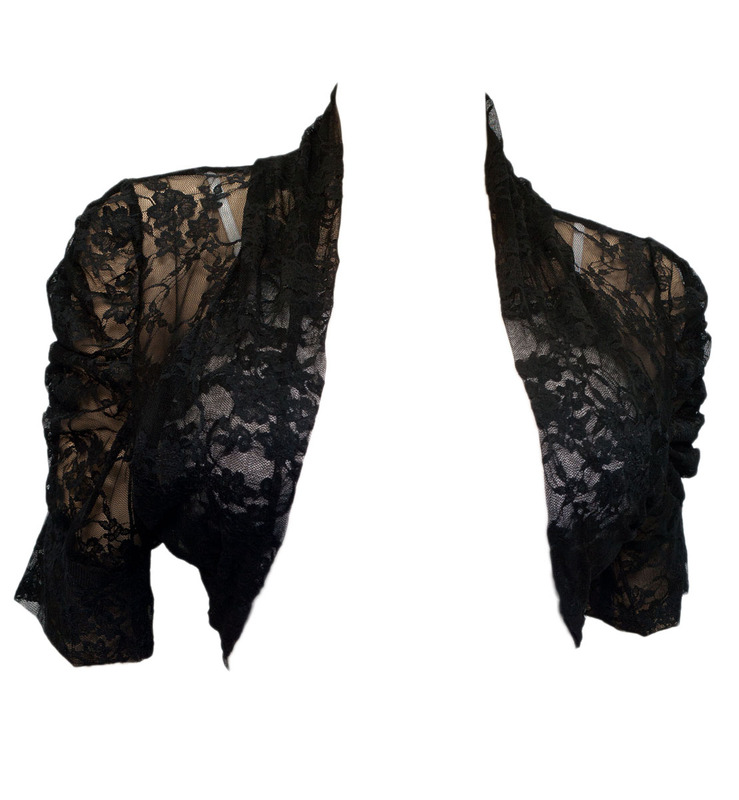 Floral lace fabric adorn this gorgeous shrug. Nylon blend. This is one of those 'throw it over anything and feel instantly glamorous' piece. Available in 1X, 2X, 3X. Tank top in the picture is not included with this sale. I like this shrug - it is pretty. I did find that it fits a bit tighter than others I've purchased in my regular size. I really like this lace bolero and think that it looks great with a dress or tank when you don't want bare arms. I think it runs a tad small (I purchased the 1X and it seems more like a 14/16 rather than an 18/20).